Select invitations and think about who you want to send them to. Yes, you have to send them to your future in-laws. Pick out entertainment. Whether it’s a Wedding Band or Wedding DJ, if it begins with “Wedding” rest assure that your YMCA, Chicken Dance and Electric Slide needs are taken care of. Purchase wedding rings and mentally prepare for the receipt figures. Picking out cake designs means a 10am cake binge, nothing wrong with that. Reserve rental equipment like chairs, tables and loved ones. Confirm locations for your triple-threat: the wedding, the party and the rehearsal dinner. Choose a caterer that combines elegance and deliciousness. Plan the honeymoon, where it will be and what you will do… ok just plan where it will be. Register at Classic Tuxedo where one of our savvy formalwear associates will help you choose from a wide array of tuxedo styles. Select the wedding rings with and have them engraved with both of your initials and the wedding date. Send invitations to final guest list. Friendly reminder: exes do not make the cut. 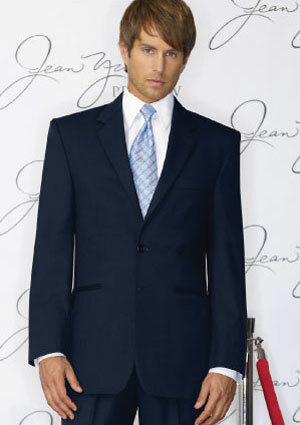 Go to your first tuxedo fitting at Classic Tuxedo. Strike a pose; you could be America’s Next Top Male Model. Plan wedding day transportation. Everyone renting the Party Bus take one step forward - not so fast Mr. Groom. Write your vows or go over the traditional ones. Avoid using the cutesy pet names you have for each other because it makes your single friends nauseous. Get your marriage license. Aren’t you glad they don’t take your blood anymore? Get your lady a wedding gift to calm her nerves and remind her why you’re so lovable. Buy some gifts for your parents and the groomsmen to remind them why you’re so lovable. Pick up your wedding rings and put them in a safe place, like Canada. Make a song list for the DJ or band. Be considerate of your multi-generational guests because Grandma only has so many hip-hop dance moves. Get a hair trim from your usual Barber and let him know it’s for the big day. Then maybe even spring for eyebrow tweezing (or separating). Prearrange for someone you trust to return any rentals. Your Classic Tuxedo rentals have to be returned two days after the wedding so don’t leave someone in charge that let your goldfish die when you were on vacation. 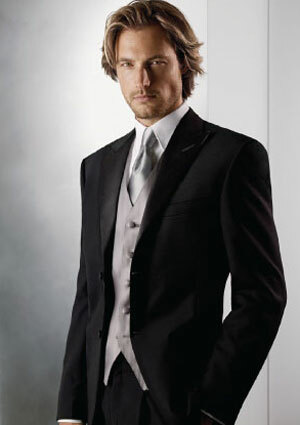 Go for your second Classic Tuxedo fitting and bring your new duds home. To keep them in good condition, refrain from playing James Bond around your apartment. Tell your best man to make sure all your guys go for their second fittings too because we know at least one of your friends would end up going to the ceremony in cargo shorts and flip-flops if his tuxedo didn’t fit right. Give your best man the ring and appropriate threats so that he won’t lose it. Rehearse the ceremony because it’s down to the wire now. Two very important things to give your officiant – the marriage license and payment. 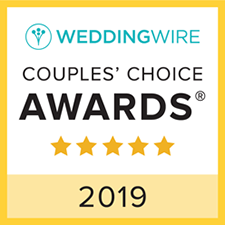 The officiant may be your priest, rabbi, minister, justice of the peace, chaplain, high wizard, scuba instructor or who ever else best meets the needs of your ceremony. Attend the rehearsal dinner with your family and friends. This is a good time to give them the gifts you bought because while it shows you are grateful, it also acts as a bribe for them to behave well the next day. Last but not least, go to bed at a decent hour. After all, the rest of your life starts tomorrow as Mr. and Mrs.